396/425 HP 4 speed two tops. 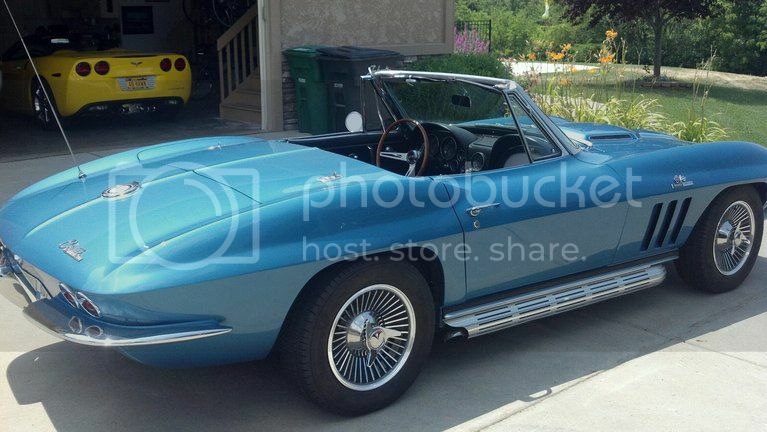 1965 Nassau Blue 2 top Conv 396/425hp. 1967 Camaro Convertible RS/SS 383/450hp. Black.